I was initially introduced to the wonder that is the folded pen by Monica Dengo, who taught a gestural calligraphy workshop in Montreal. She showed us how to make our own pens by folding a rectangular piece of aluminum in half, cutting it into a knife-like shape and securing it to a chopstick with tape. I learned to embrace (and delight in!) ragged edges and unexpected ink splatters. Monica’s words come back to me often, especially in the quiet moments when I'm writing. I started #foldedpenfriday on Instagram in 2015 as a personal creative outlet. After a full work week of pointed pen script for wedding commissions, I found that turning to a non-conventional tool was incredibly relaxing. As I posted images each week, I was joined by @sldenfeld, who began posting each Friday as well. I've been very moved and inspired by her work, and thanks to that little hashtag, Shari and I formed a friendship over Instagram. We exchanged snail mail and even got to meet in person this past summer for a folded pen workshop with Carol Dubosch. As more people played along, I eventually created another account (@foldedpenfriday) to curate roundups each Friday of works from other calligraphers around the world. Here are some of my favourites, executed with everything from handmade cola pens to turned wood holders. Folded pen workshop exercises (@corapearlcalligraphy – USA). And psst... she will be teaching at the 2017 international conference! It's A Folded Pen Giveaway! And guess what? In honour of #foldedpenfriday, we've partnered up with John Neal Bookseller to give away four Luthis pens! Made in Argentina, these pen nibs are made from folded aluminum. The four styles are the Mariposa (Butterfly), Polillita (Moth), Abanico (Fan) and Libélula (Dragonfly). Each pen writes differently and all are wonderful for both expressive writing and formal calligraphy. 3. Leave a comment, answering one of the following questions: What do you like best about folded pen lettering? What questions do you have about this tool? Four winners will be randomly selected and announced on Instagram on Monday, November 7, 2016. Each winner will receive one pen. * Follow @foldedpenfriday too, if you want some weekly inspiration! 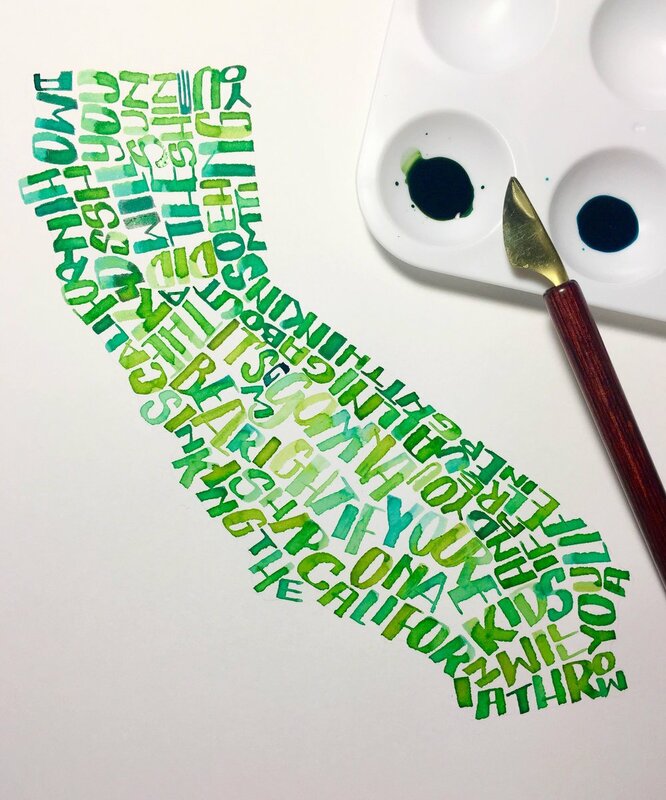 Joy is a calligrapher, teacher and writer who specializes in pointed pen calligraphy and hand lettering. She currently serves as International Workshops Coordinator and Membership Chair for La Société des calligraphes de Montréal and is also core contributor for UPPERCASE magazine. Originally from California, Joy graduated from UCLA with a Bachelor of Arts in Theatre in 2003. She and her husband relocated from Los Angeles to Montréal in 2013.